Mention Girl Guides to any woman and the reaction will be strong. They either loved them or hated them; they were either proud to wear their uniform or refused to join. Whatever their feelings, most former Guides retain strong memories of their experiences. All too often regarded merely in terms of biscuit sales and sing-songs, hardly anybody is aware of the massive impact that the Guides had on gender equality and, more fundamentally, the outcome of the Second World War. 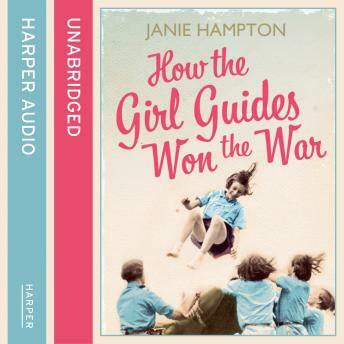 In this eye-opening history, Janie Hampton explores how the Guides' work was crucial to Britain's victory. When the Blitz broke out, the Guides knew what to do. They kept up morale in bomb shelters, demonstrating 'blitz cooking' with emergency ovens made from the bricks of bombed houses at the request of the Ministry of Food. They grew food on their company allotments and knitted for the entire country. The embodiment of the Home Front spirit, they dug shelters, provided crucial First Aid, and also assisted the millions of children who were forced to flee their city homes to safer places in the country. It is difficult to imagine what the war effort would have looked like without the Guides. Full of fond and funny anecdotes and rich social history, 'How the Guides Won the War' takes us on the journey of one of the twentieth century's most extraordinary movements.